Facility examples – Loging Rent, d.o.o. Renault storage facility – mobile storage hall, 50m x 140m x 7m, in Novo mesto. Renault storage facility – interior of the storage hall for spare car parts. Renault storage facilities – three temporary storage halls, each 25m x 95m x 6m, for car body parts in Novo mesto. Renault storage facilities – interior of one of the three connected halls. DSV-Pilkington warehouse – mobile storage hall, 20m x 55m x 6m, in Novo mesto. DSV-Pilkington warehouse – interior of the storage hall for windshields. Pivovarna Union warehouse – mobile storage hall, 16m x 70m x 6m, in Kamnik. Renault-Nissan warehouse – storage facility, 25m x 40m x 5m, for spare parts in Novo mesto. BTC-CAT Logistic warehouse – mobile storage hall, 20m x 55m x 6m, for Michelin manufacturers in Novo mesto. TPV Johnson Controls warehouse – storage hall with a combined roof, 25m x 30m x 6m, in Novo mesto. Julon storage facilities – four connected halls, each 20m x 35m x 4m, in Ljubljana. Julon storage facilities – interior of the storage facilities for glass fibre products. 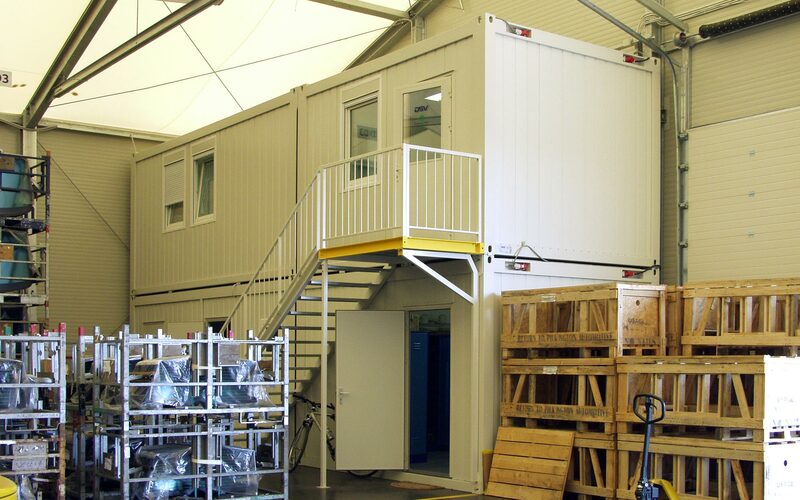 DSV Transport warehouse – interior of the mobile storage hall with an office-sanitation module. Krka warehouse – a prefabricated loading ramp in a mobile hall of the company KRKA d.d. © Copyright 2019 Loging.si. All rights reserved.